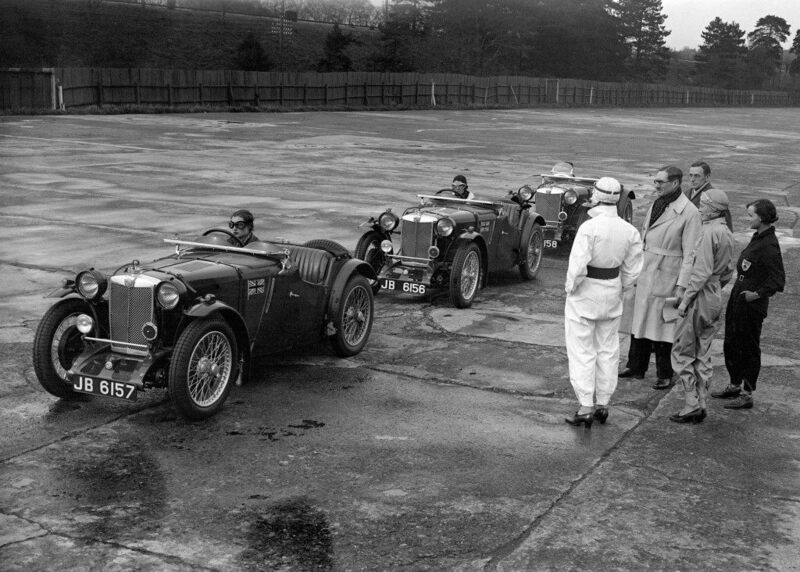 In 1933 The RAC gave permission for women to drive at Open meetings at Brooklands on equal terms with men. 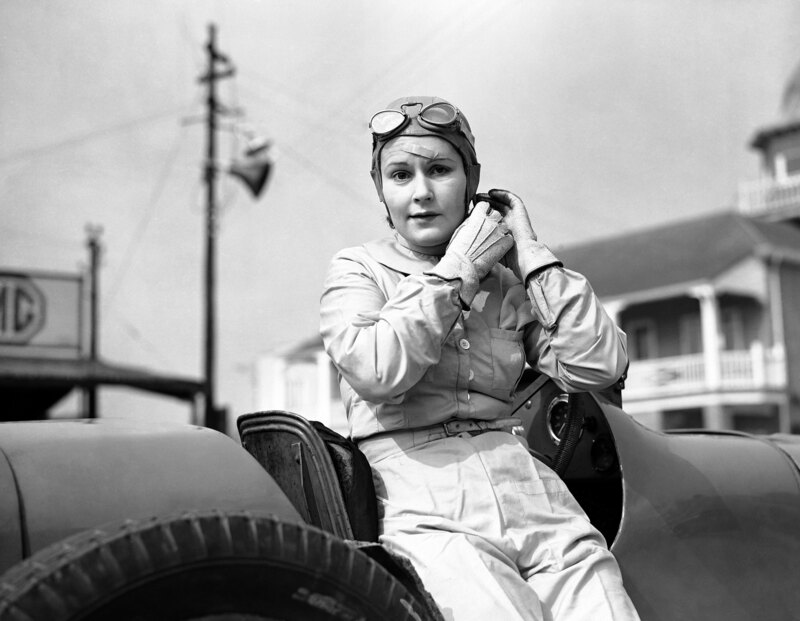 It meant that the nineteen-thirties became the heyday for women racing drivers. 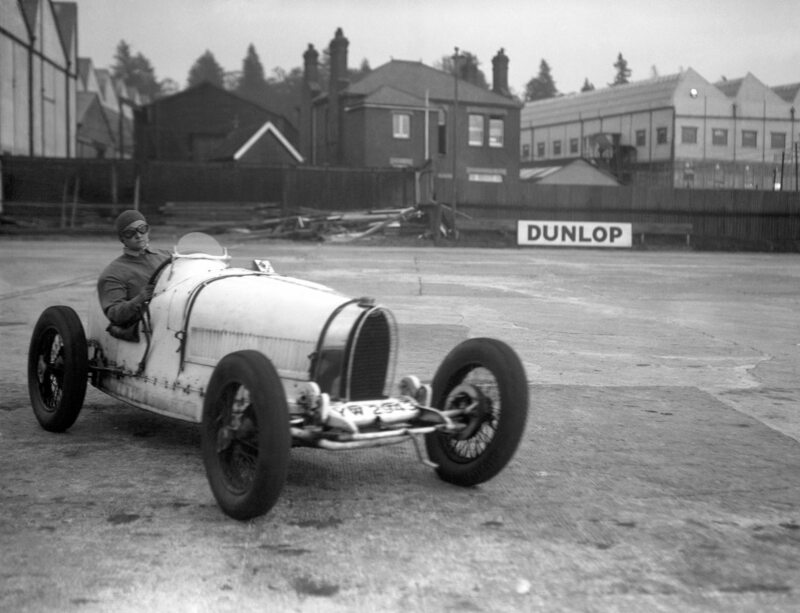 Kay Petre at Brooklands, March 1930. Only 4’10” tall she’s seated in her huge 10.5 litre V12 Delage. 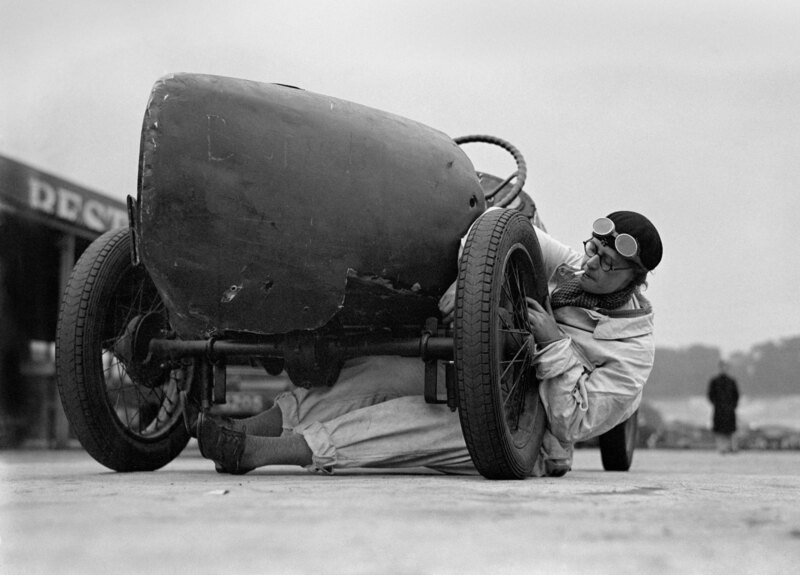 Hugh and Ethel Locke-King began work on the Brooklands race track in 1906. They spent almost £100,000 on the track (about £11 million these days) and it would become the world’s first purpose built motor-racing circuit. At the time, following the Motor Car Act of 1903, Britain was subject to a blanket 20mph speed limit on all public roads and it was thought by many that a place was needed to race cars at maximum speeds. The Locke-Kings built seating for 5000 people at the track and additional space for 30,000 spectators. Owing to the complications of laying tarmac on banking the track was built in uncoated concrete. In later years this would lead to a somewhat bumpy ride as the surface settled at different rates over the years. 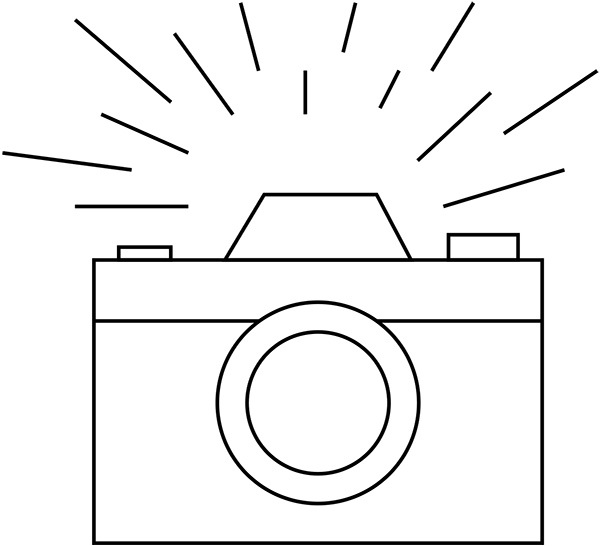 Along the centre of the track ran a dotted black line, known as the Fifty Foot Line. By driving over the line, a driver could theoretically take the banked corners without having to use the steering wheel. The Brooklands Automobile Racing Club (BARC) was formed in December 1906 and Ethel inaugurated the track on June 17th 1907 driving the Itala at the front of a procession with Hugh as a passenger. Initially women were banned from racing but in 1908 this ruling was relaxed and by 1920 women were racing in both female and mixed races. 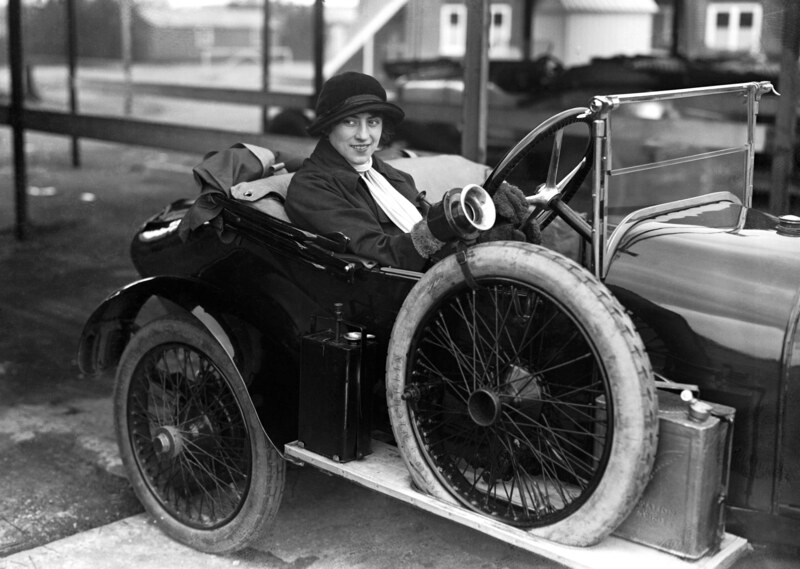 In 1927 Hugh Locke-King died and Ethel took over the BARC and more women started racing. 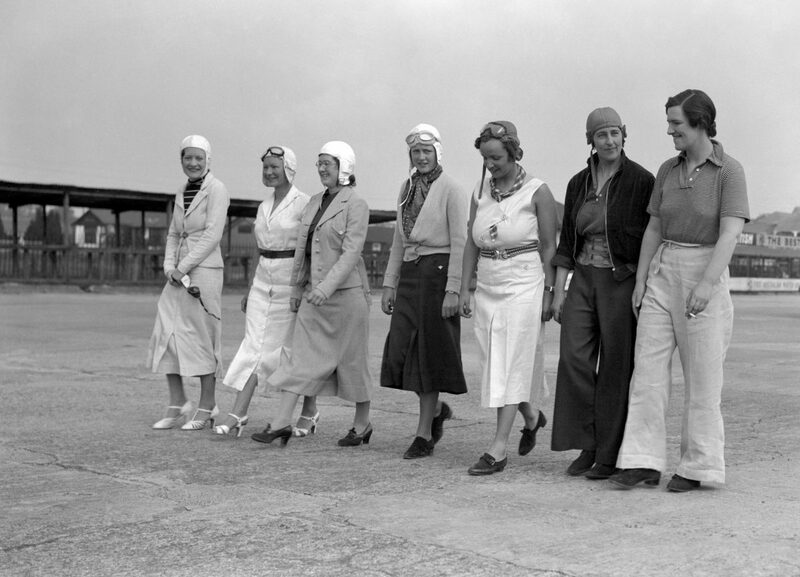 In 1933 The RAC gave permission for women to drive at Open meetings at Brooklands on equal terms with men. 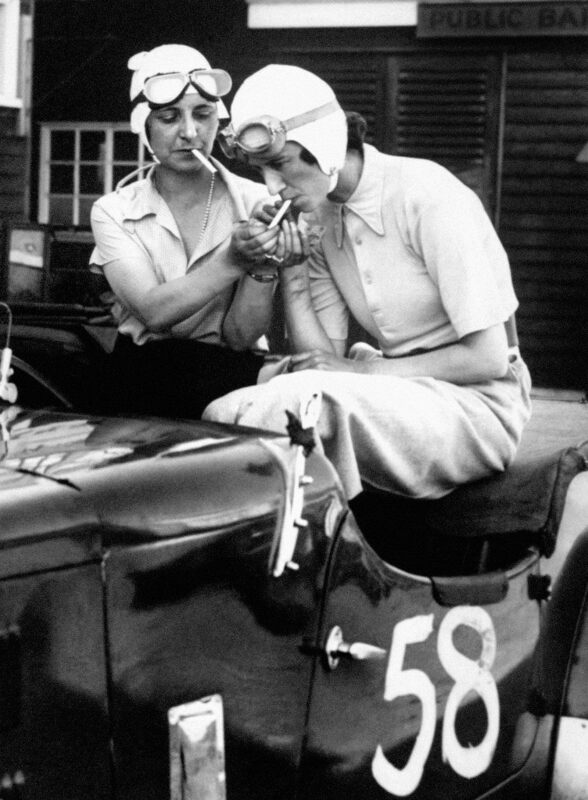 It meant that the nineteen-thirties became the heyday for women racing drivers. Kitty Brunell tunes up her AC Ace Sports engine, 1932. Kitty was known as a rally driver and would be the only woman ever to win the British RAC Rally, in 1933. 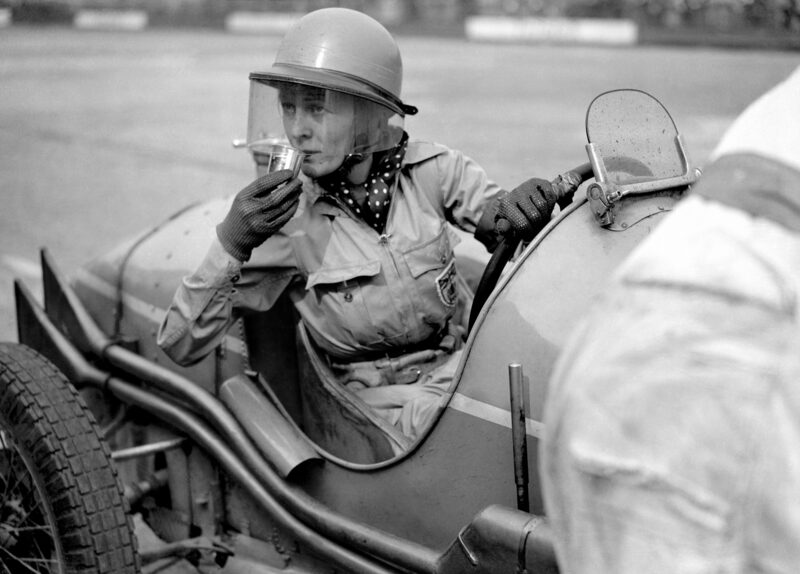 She never raced competitively at any track, but did use Brooklands for tuning and circuit testing her car. 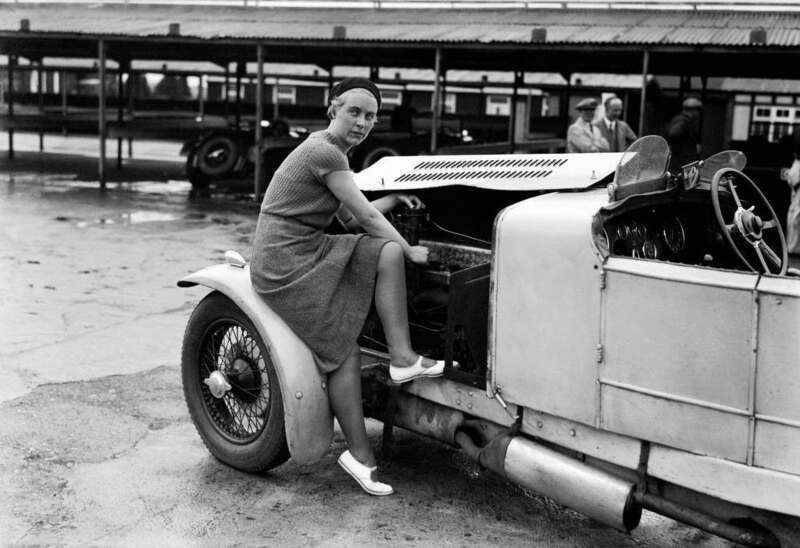 Miss J Alwynne, a motor mechanic at Brooklands race course, July 1931. 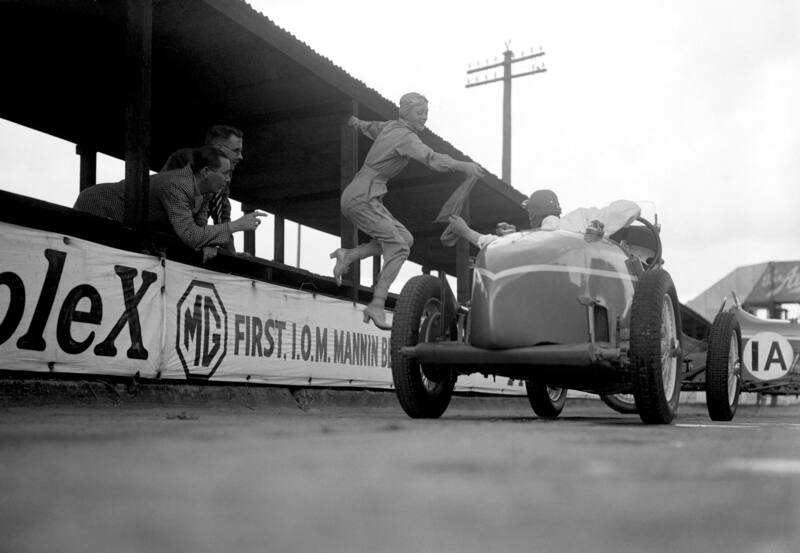 Doreen Evans taking over the sash during a relay race at Brooklands, July 1935. Doreen taking a refreshment at Brooklands in July 1936. 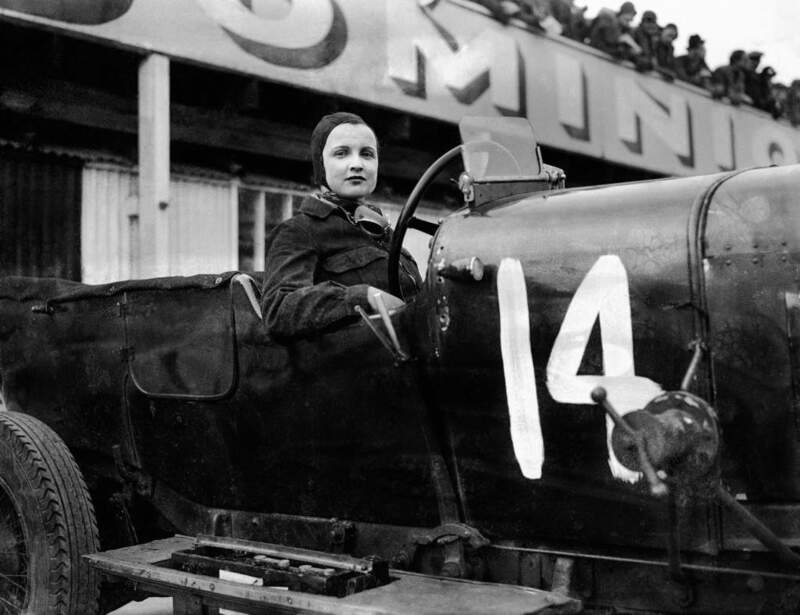 One of the leading female racing drivers of 1930’s. 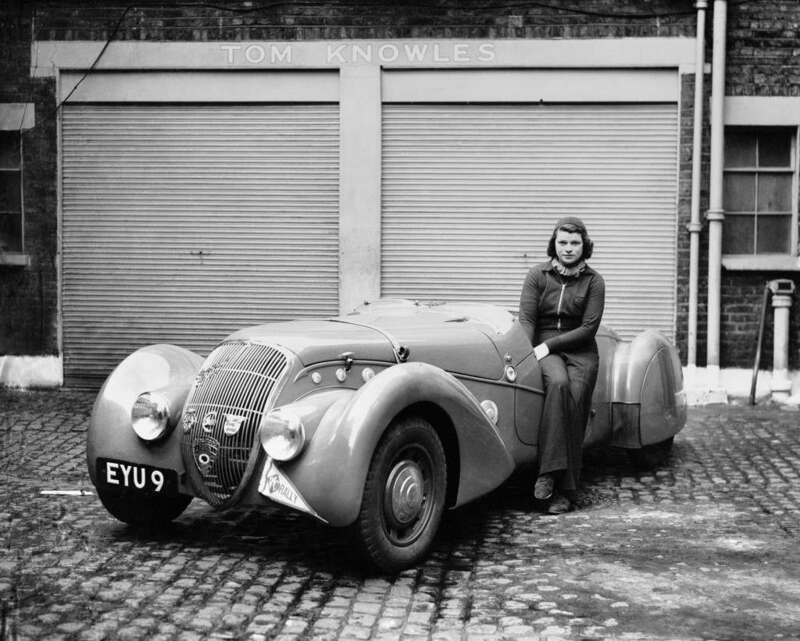 Doreen Evans was the youngest child in a motor-racing family whose business, the Bellevue Garage in Wandsworth, was a leading MG agency. With her brothers Dennis and Kenneth she competed in MGs in the Bellevue team, and at Le Mans in Captain Eyston’s ‘Dancing Daughters’ team. 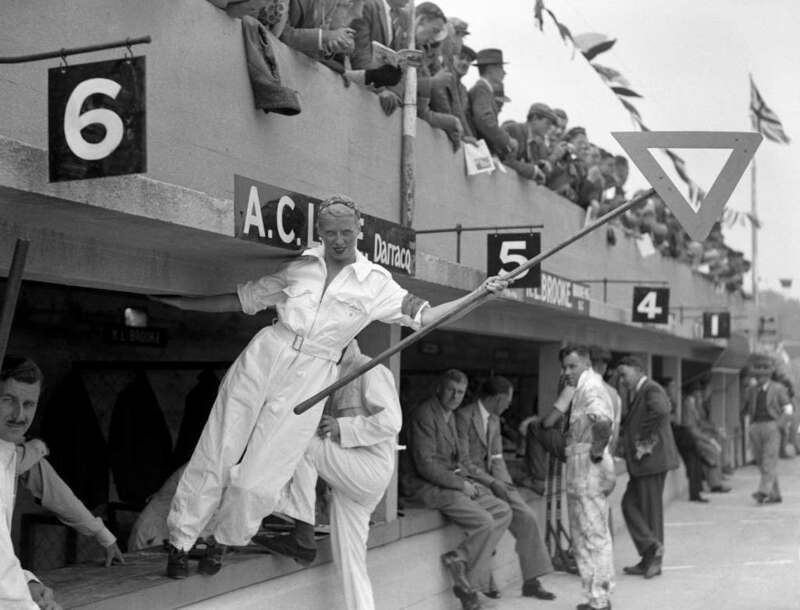 Mrs Aclace signals from the pits during the JCC 200 mile race at Brooklands, August 1938. 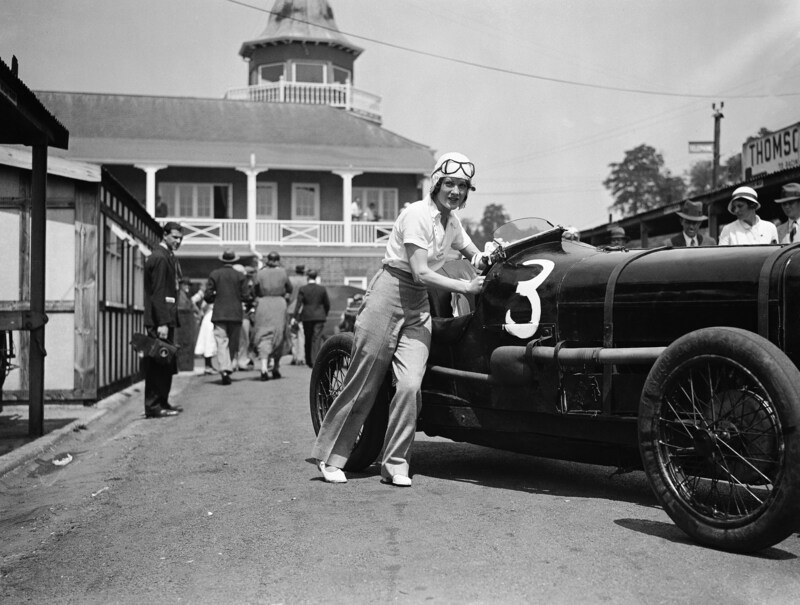 Fay Taylour at Brooklands in 1930. She was born in 1904 in Ireland and known as ‘Flying Fay’. 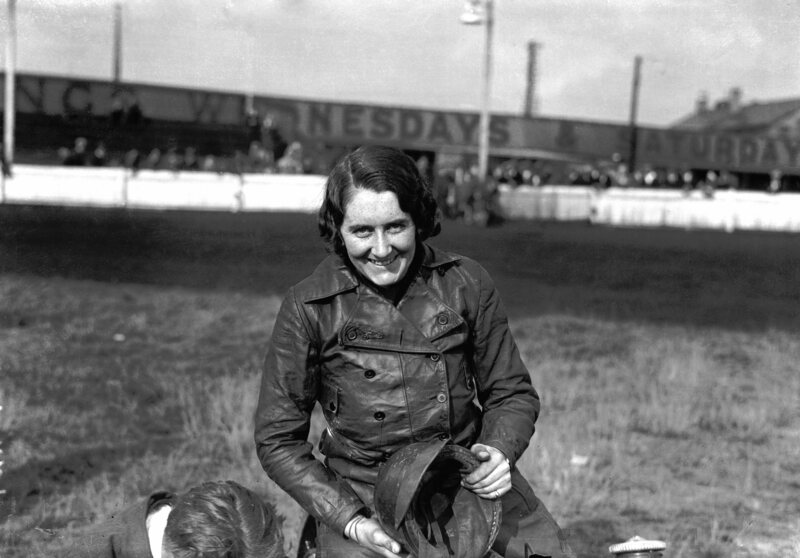 She was a champion speedway rider but switched to racing cars in 1930. 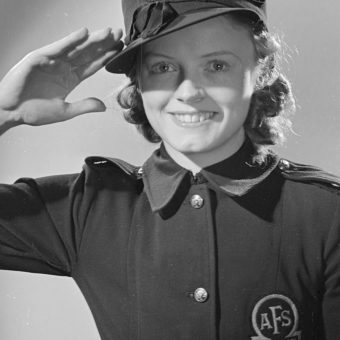 She was interned as a fascist during the Second World War (and was said to have had an affair with Oswald Mosley) but after the war continued racing in the UK and America. During the 1950s, she was still racing with a 500 cc Cooper at major British circuits like Brands Hatch and Silverstone and competing against a new generation of young drivers including Stirling Moss and Peter Collins. Violet Cordery, 1930. 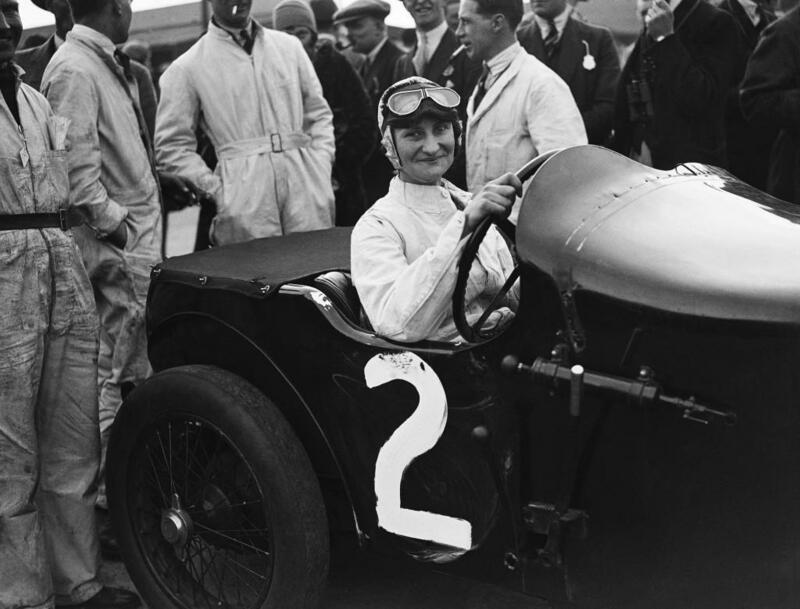 She won races in a 2.5-litre Invicta and had to be discouraged from driving a 4.5-litre version for 25 miles round the track – in reverse. She was told the car wasn’t up to it and that the BARC would take a dim view of her antics. In 1929, Invicta wanted to prove the reliability of its cars so she and her sister drove a 4.5-litre model round the track for 30,000 miles at an average speed of 61.57mph. Gwenda Stewart in 1935. She took the ultimate Ladies Outer Circuit lap record at 135.95 mph. 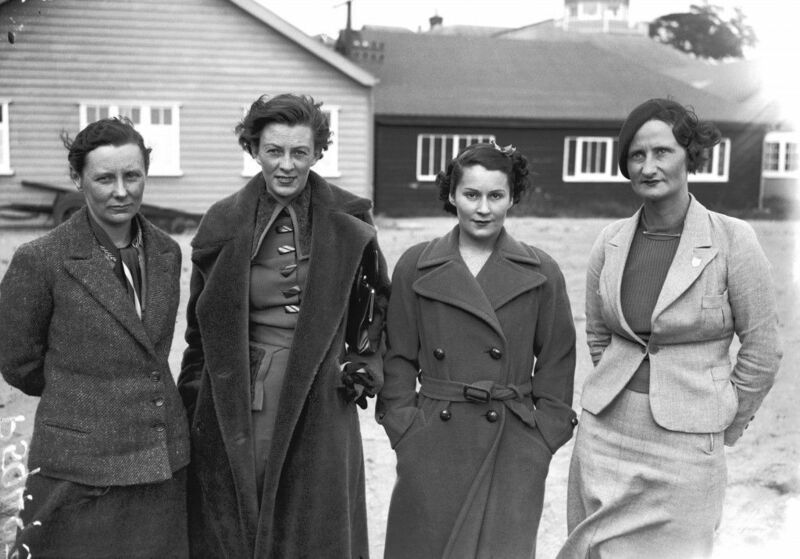 (L-R) Racing drivers Gwenda Stewart, Doreen Evans, Kay Petre, Elsie Wisdom. September 1935. 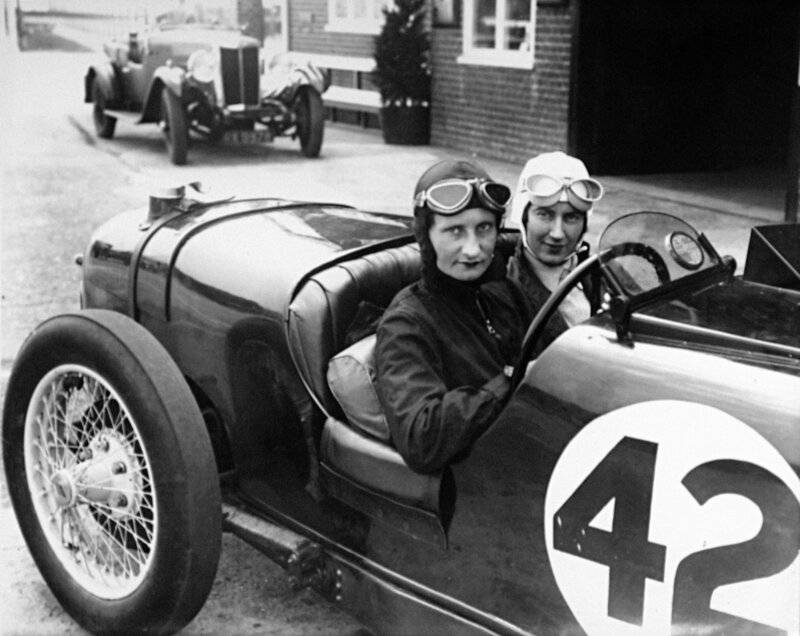 Mrs Gordon Simpson and the young racing driver Joan Richmond sitting in the latter’s 1921 3-litre GP Ballot racer, July 1934. 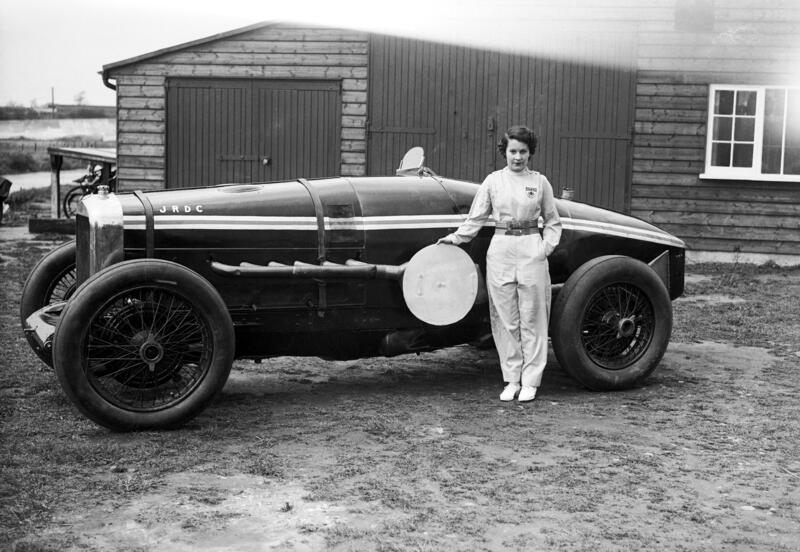 Elsie Wisdom at Brooklands in 1930. 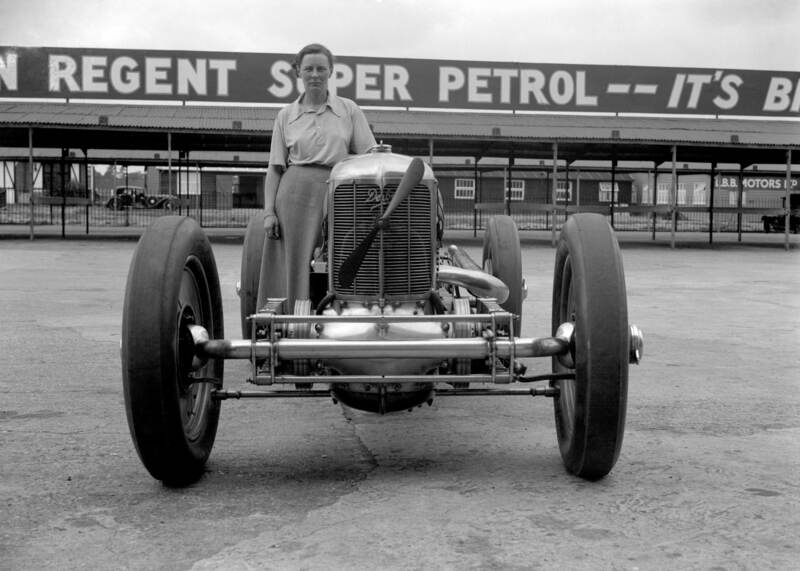 Elsie “Bill” Wisdom, confounded the Brooklands Automobile Racing Club sceptics to master the unpredictable 7.2-litre Leyland-Thomas and who won Britain’s first 1,000-mile race at an average speed of 84.41mph, partnered by Joan Richmond. 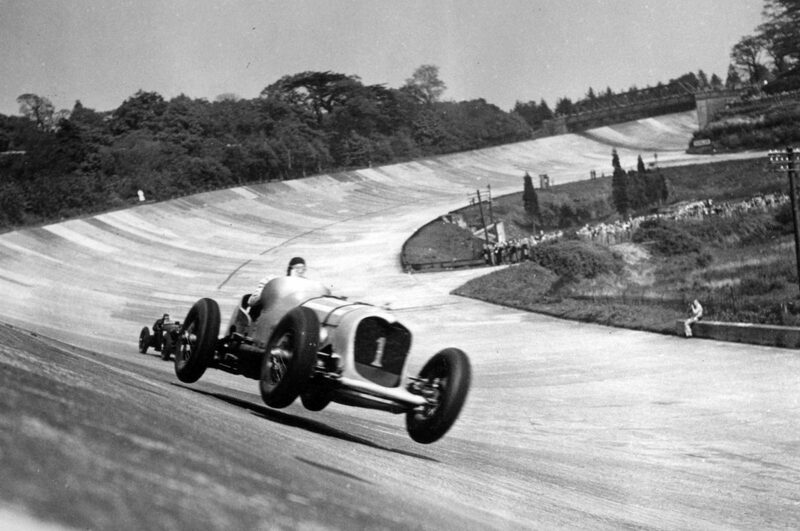 Eileen Ellison in a Bugatti during the ‘mountain race’ at Brooklands, 1934. Mrs Elsie “Bill” Wisdom and Miss Joan Richmond, July 1932. 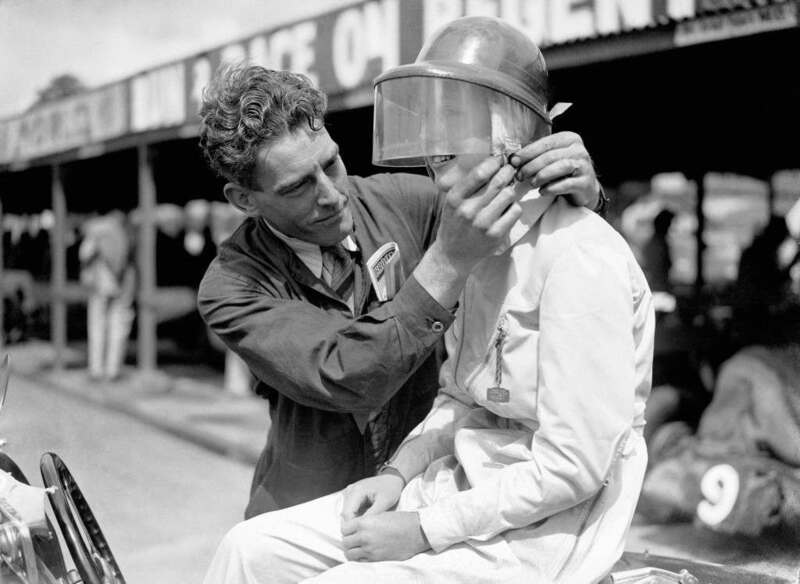 A Brooklands’ mechanic fastens the buckle on Miss Dorothy Turner’s helmet, July 1937. Miss Patten, Baroness Dorndorf sits on the door of her Peugeot, May 1939. The three racing MGs were entered for Le Mans by land speed record breaker George Eyston and nicknamed the ‘Dancing Daughters’ after a popular variety act of the time. 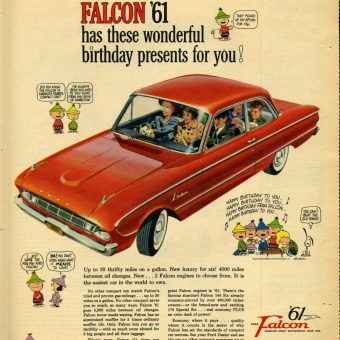 The drivers were : Car 54 – Margaret Allen & Coleen Eaton, Car 55 – Doreen Evans & Barbara Skinner, Car 56 – Joan Richmond & Miss Joan Simpson. July 1935. Kay Petre poses with her V12 Delage, July 1937. Kay Petre at Brooklands, March 1938. It was the first time at Brooklands since a terrible accident the previous September. During practice for the 500 Mile race, the driver Reg Parnell misjudged an overtaking move, lost speed, slid down the banking and hit her Austin Seven from behind. She crashed badly and was seriously injured and she never raced competitively again. 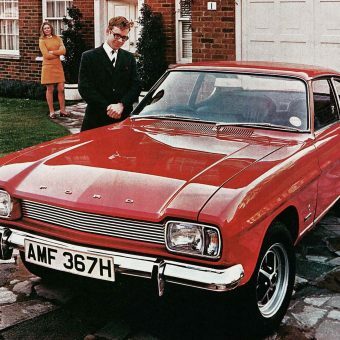 Years later Petre ended up designing fabric patterns for the interior of the Mini and was a motoring journalist. 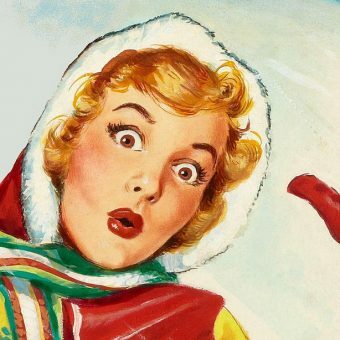 She died in 1994, at the age of ninety-one. Thank you to the Brooklands Museum for their help with names and information.